This is a bold statement to make, one that almost no one else will. Our bodies are incredible, but they do require a fuel source to function. You can call this the "building blocks" of life. But it's not protein, as most would say, and for good reason. 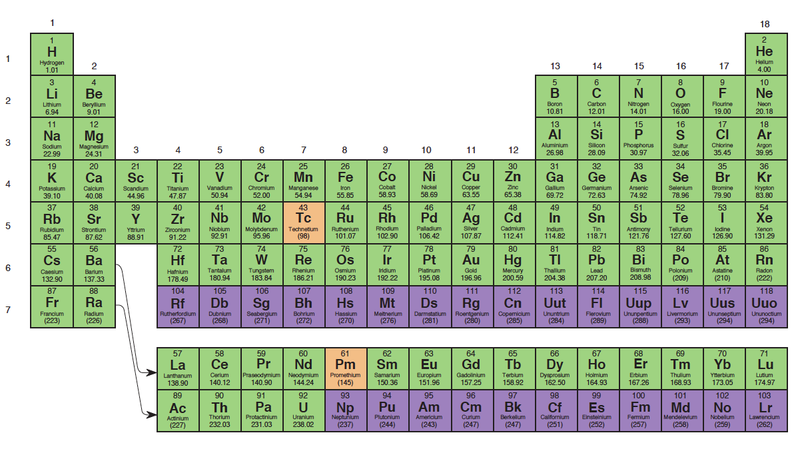 The thing that almost everyone overlooks is that Minerals are the same as the Elements on the periodic table. Because everything in life is comes from a combination of these elements. Nothing would exist without these most basic parts. And Protein and Vitamins happen to be missing from the table. From how I see it, these words are instead great "marketese" words. They tease us into buying products we don't actually need. We then consume those products year after year and wonder why we get sick or no longer fit into our jeans from last year. In reality it's hard to market what we actually need, because minerals come from the soil. And on most American farms you'll only find 3 minerals... the bare minimum... NPK (Nitrogen, Phosphorus, and Potassium). They sell huge bags of these 3 minerals for farmers to dump back into their soil after countless harvests... but that's it. If you look at the table above you'll notice there's 90 naturally occurring elements / minerals / electrolytes... that we can absorb. The worst part is that we'll try to take a short-cut and put the minerals in their raw form into food... like for example when you see on a package's label "reduced iron" (meaning iron oxide)... you get weird things like this to happen. And our bodies can't process this. We can only absorb these minerals after they've first been "digested" by plants from the soil they grow in. Now the minerals are no longer in a "hard" form, but instead a "liquid" form. For example, "iron fluorine" vs. "iron oxide." You get this from plants growing in the wild, in mineral rich soil. Plants are like amazing machines that turn raw minerals from the soil into useful sources of nutrition for our bodies. Whether these plants grow on the land or in the ocean... these are the vegetables, herbs, we need to increase in our diets. Herbal teas, capsules, tinctures, stir-fries... as long as you're getting them into your body it doesn't matter the method. You will begin to lose weight, stop being hungry all the time (since this is really what we've been craving), gain energy, focus, and an indomitable mood and positive attitude towards life. Not to mention get sick a lot less, if at all. I don't know about you, but when I used to "overdose" on Vitamin C... I would still get sick. But stopped when I started taking lots of the right wild herbs.